Home » Can Weyerhaeuser’s Timber Propel it to New Heights? 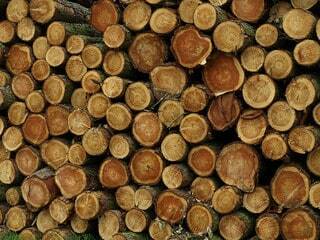 Timber prices run hot and cold, but for right now, the timber trade is absolutely on. This year, Weyerhaeuser Company (WY) –the largest company in the timber business – has logged an impressive 40% return. Can Weyerhaeuser ride the waves in timber to a record valuation? Weyerhaeuser is much larger than its competitors as it is involved in businesses other than simple timber harvesting. Though the company is known for its high quality timber, especially in the Pacific Northwest, it has its hands in timberland acreage, wood products production, cellulose-fibers for consumer goods, and even housing construction. Eighty percent of Weyerhaeuser revenues are derived from housing and related products. This diversity within a single industry is tough to compete with. In owning four different businesses, Weyerhaeuser is much more stable than firms that generate more of their operating income from wood production. Not to mention, as Weyerhaeuser recently elected to become a real estate investment trust; the company pays a much lower tax rate than a normal C-Corporation. Housing Improvement – Housing starts have improved, which feeds into the demand for timber, and also Weyerhaeuser’s home building segment. A return to one million housing units on an annualized basis would make for higher timber prices and better volumes from the timber production unit. 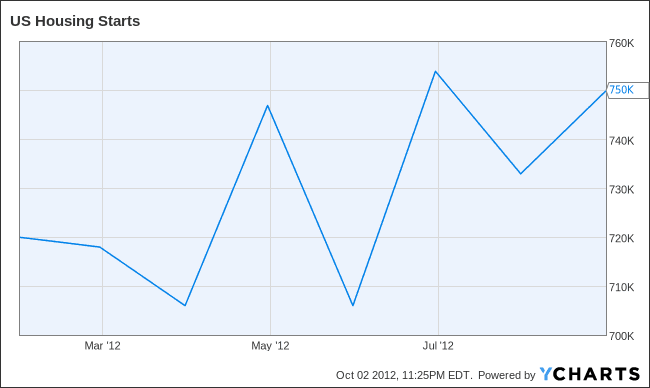 Some analysts project housing starts to rise to 1 million units by 2014, up one-third from 2012’s pace. Median home prices for new homes are also rising, suggesting a much stronger market for new housing. Timber Shortage – Going into the year, timber producers were less than optimistic about growing demand for timber. Timber prices are 27% higher than in the first quarter of 2012, mostly due to supply constraints. Sawmills that opened to process record amounts of timber during the housing boom have closed, and are unlikely to be reopened until the housing market is on a clear upward trajectory. This brings better margins in the short-run. Dividend – This is a double catalyst for Weyerhaeuser and other REITs. As REITs are required to return 90% of earnings to shareholders, dividends go up with earnings. In a low yield environment, any improvements in net income will show through with timber REITs reclaiming their lofty positions as the best yielding stocks on Wall Street. Dividend investors are likely to take quick notice of the company as its higher timber revenues translate into a larger dividend. Hidden Value – Weyerhaeuser is known for its timber, but not its other businesses. While the timberland acreage has been estimated to be worth as much as $15 billion, its three other businesses add as much as $7 billion to the total valuation. With a $14 billion market cap, Weyerhaeuser sells for a slight discount to its asset values. Less long term debt, Weyerhaeuser is, by some measures, cheaper than the sum of its parts. Given that Weyerhaeuser sells at a discount to asset value at best, and a razor thin premium at worst, investors seem to have a valuable margin of safety at the current price. A continuation of the current new home construction trajectory past one million housing starts would be a boon for all but one of the company’s operating units. Weyerhaeuser is incredibly levered to higher lumber prices and production volume – both at the same time would be even better. Weyerhaeuser is an interesting bet to thread the needle in Ben Bernanke’s monetary policy. Falling rates, improved housing starts, and rising median home sales should bode well for anything remotely related to housing. Timber is as close as it gets to a direct play on residential construction. Dividend growth investors should take special notice: Weyerhaeuser’s election to become a REIT means any earnings growth is cash flow in an investor’s pocket.